Climalite material moves sweat away from your skin so you stay dry every step of the way. Sweat but don't sweat it. Royal Blue Adidas Training Top embellished with your printed club badge. Designed to be the perfect complement to your Adidas teamwear, this training top is ideal for training, casual wear and match day travel. Optional initials (max 3 letters) can be included for an additional £3.99. The typical delivery lead time for embellished teamwear garments is within 14 working days (please refer to our Terms & Conditions for full details). 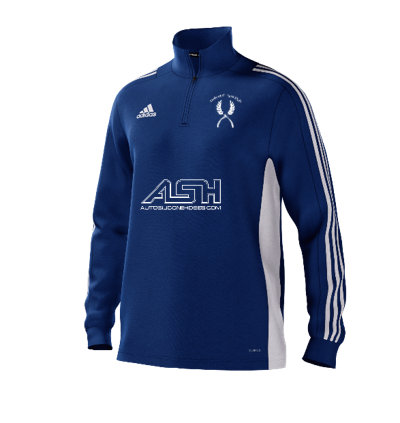 Please view our teamwear size guide for comprehensive information on the sizing of this garment.